Being a homosexual and a successful writer at the turn of the nineteenth and twentieth centuries could lead to dangerous situations. In France it wasn’t until 1982 that homosexuality was decriminalized. In England one of the most skilled wordsmiths in the land, Oscar Wilde, was sentenced to two years in prison in 1895 for his homosexuality. “it is true that these sounds were so violent that, if one set had not always been taken up an octave higher by a parallel plaint, I might have thought that one person was strangling another within a few feet of me (…) I concluded from this later on that there is another thing as vociferous as pain, namely pleasure”. How did a French writer from high society like Marcel Proust dare to describe, in this era and with such exactitude, the relationship between the tailor Jupien and the Baron de Charlus? His unrivalled biographer, Jean Yves Tadié (former teacher at la Sorbonne and Oxford) explains that it is due to the fact that “Marcel Proust was not lacking in courage (we have also seen this in his stance on the Dreyfus affair)”. As it happens, this publication didn’t cause much of a scandal. 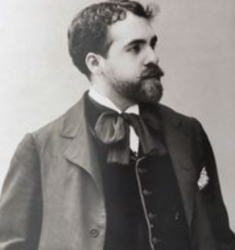 Over the course of two years up until 1896, according to Jean Yves Tadié, Marcel Proust had a physical love affair with a musical composer, Reynaldo Hahn. 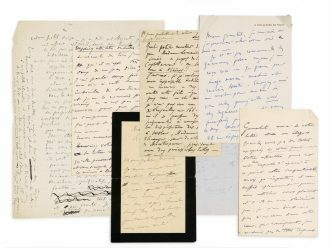 On 24 May Sotheby’s is organizing a sale in Paris of some of the rare letters written to Marcel by Reynaldo and vice versa, along with many other relics from the author of La Recherche. 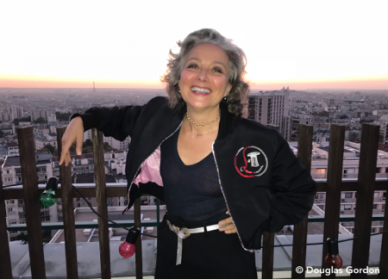 The sale contains 58 lots belonging to Marie Claude Mante, the daughter of the writer’s niece, who inherited various important documents through her father, Robert Proust. They are estimated at 350,000 euros in total. On 31 May 2016, Patricia Mante-Proust, granddaughter of the writer’s niece, sold her share of the family memorabilia at Sotheby’s, in a sale that made 1.24 million euros. 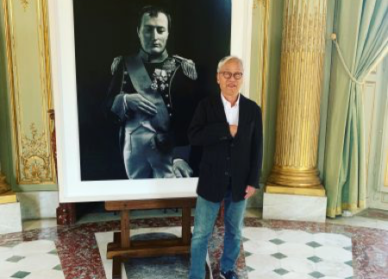 Jean Yves Tadié talks about the Proust-Hahn correspondence on sale at Sotheby’s. 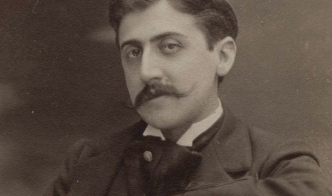 According to Jean Yves Tadié the tone used by Hahn and Proust in their correspondence, which is humorous and lighthearted (they play around with words and give each other affectionate nicknames), is unique among the writer’s epistolary relationships, even once their love turned to friendship. 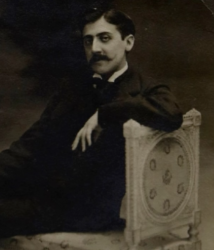 In March 1896 Proust wrote to his companion about his novel of youth “Jean Santeuil”: “I want you to always be like a deity in disguise that no mortal may recognise”. These four pages are estimated at 7000 euros. In 1898, having just learned of Mallarmé’s death, Reynaldo communicates his sadness to his friend, whom he affectionately nicknames “Guncht”, adding: “loving you as dearly as I do, you are the only being I do not begrudge writing to me so little, for I know of all the reasons preventing you from writing to me more often.” The four pages are estimated at 2000 euros. After 1905, Marcel draws a portrait for Reynaldo on which he has written the titles of his musical works (estimate: 7000 euros). Proust’s drawings are especially valued by the market and in 2016 one of his drawings depicting the Amiens cathedral was sold for 47,000 euros. 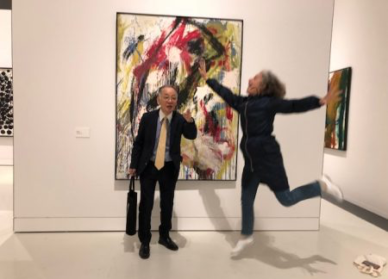 In 1912 Marcel writes: “My darling, your little note this morning shall go down in the memories of our friendship and my life (pleonasm) as one of the 2 or 3 things that have moved and delighted me the most” (estimate: 3000 euros). In the final years of the nineteenth century the writer developed a passion for the art critic and thinker John Ruskin, who he would go on to translate. One of these translated and published texts, “Sesame and Lilies”, is accompanied by a long pastiche manuscript of Ruskin by Proust (estimate: 7000 euros). The documents due to go on sale on 24 May are of a rare quality. To see such an ensemble surface on the market again we will have to wait for the potential appearance of what remains of the family collection. Fans are also awaiting the auctioning of Proust items from the liquidation of the French company Aristophil, which invested opaquely in manuscripts and rare editions. 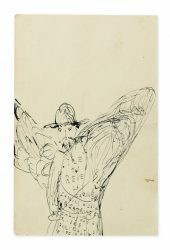 On 19 June Drouot – Estimations will be presenting a letter from Proust to Hahn illustrated with drawings, with a huge and inexplicable estimate of 70,000 euros.